What have the Creation Station Design Team have in store for you this month? As a Stampin' Up! Demonstrator, we come across some amazing tips & tricks from fellow Demonstrators, or we come up with our own. I have some tips that may help you out with your paper crafting projects. Tips & tricks I have discovered, or have learnt from others or my favourite place to find 'Tips & Tricks'; Pinterest! 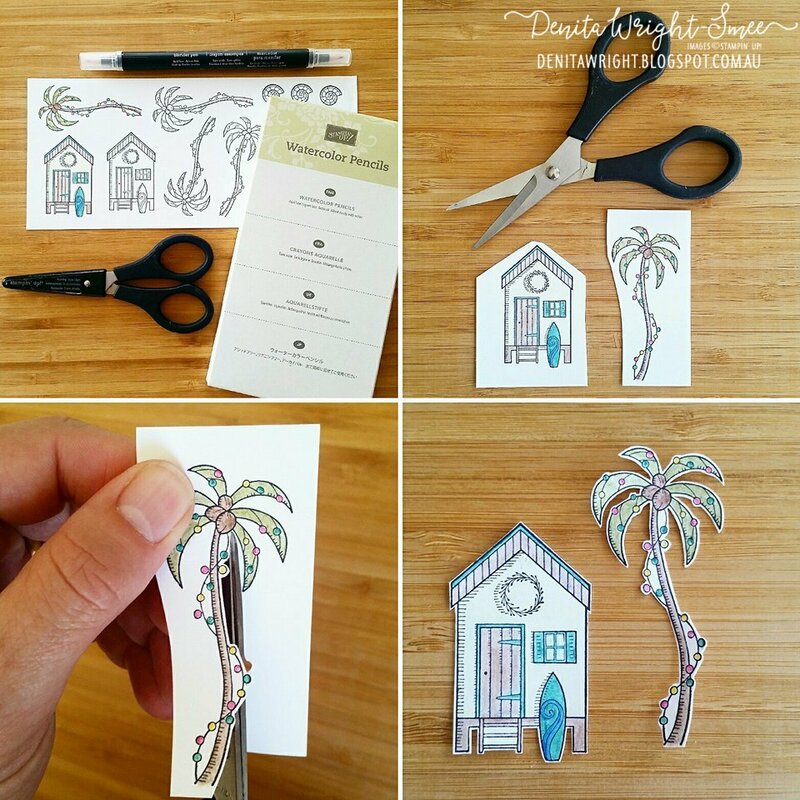 The trick to fussy cutting is to have a pair of sharp scissors, and believe me, our Stampin' Up! 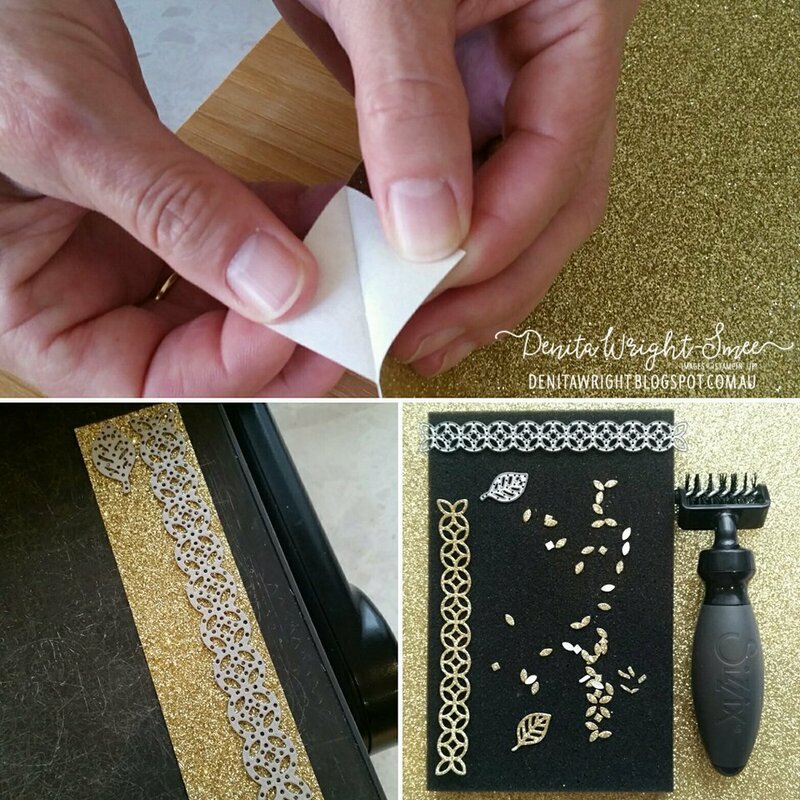 Paper Snips are the best in the business! They have perfectly sharp blades, fit into your hands beautifully and are lightweight. Always give a border around the image - this makes for a nicer finish, than trying to keep to the edges. Move the paper, not the scissors. 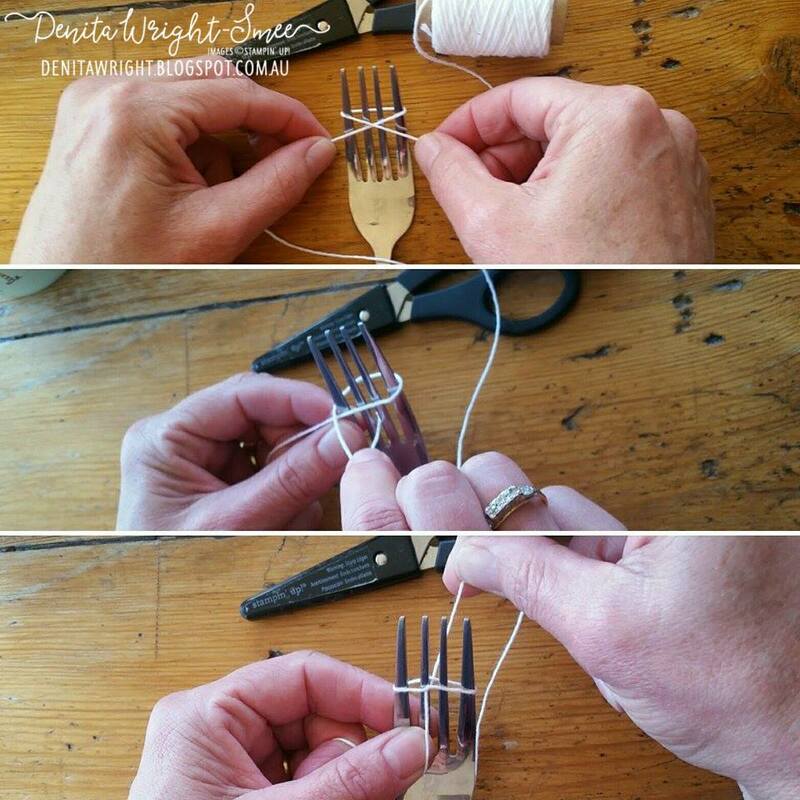 Use the mid part of your scissors and save the point for angled edges. I started snipping the trunk of the palm tree going up, and snipped into the other side of the trunk going down. Always snip the tiniest part of the image first - then into the larger parts. I always travel with a fork! 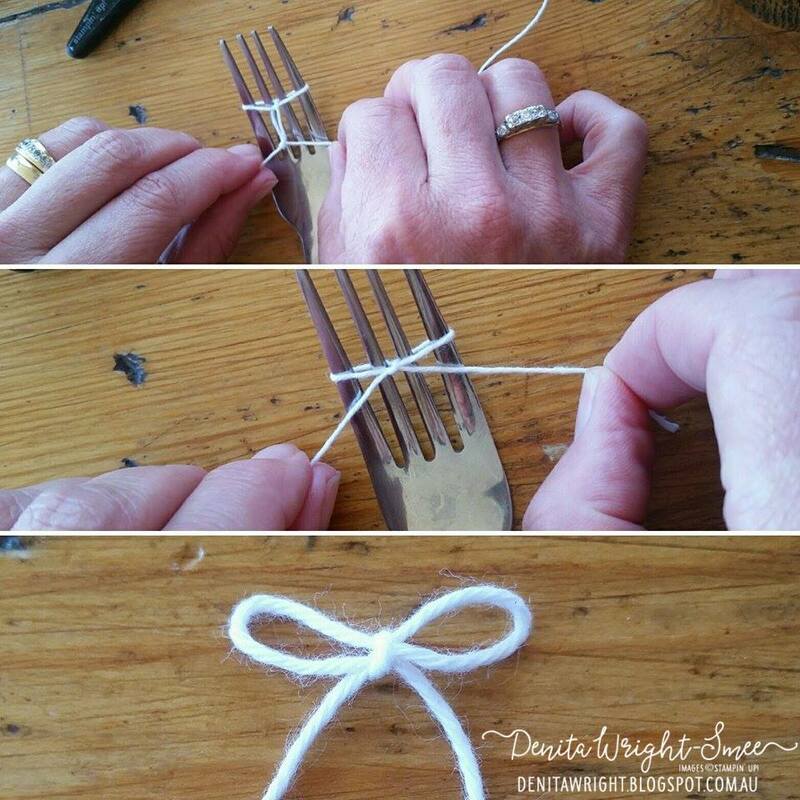 Yep, a good old fork and it's the best tool for creating bows from 'Baker's Twine' or 'Linen Thread'. The wider the ribbon I will tie using my hands. Glimmer Paper. Love it! However, it's tricky when die-cutting. All you do is pull away the backing from the Glimmer Paper, and away you go. No more bits that don't come away after using the dies, and if you need a backing for your Glimmer paper, die-cut some cardstock and adhere it to the back to make it more sturdy. Thankyou for visiting. 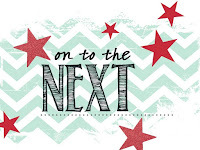 There are lots more Tricks & tips on the Blog Hop. 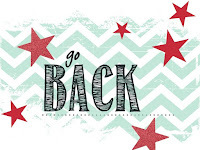 Click on the 'Go Back' button below to visit Elizabeth's Blog, or 'On to the Next' to visit Kathy's Blog. ﻿Below are all the products used for my 'Creation Station - Tips & Tricks' creations.